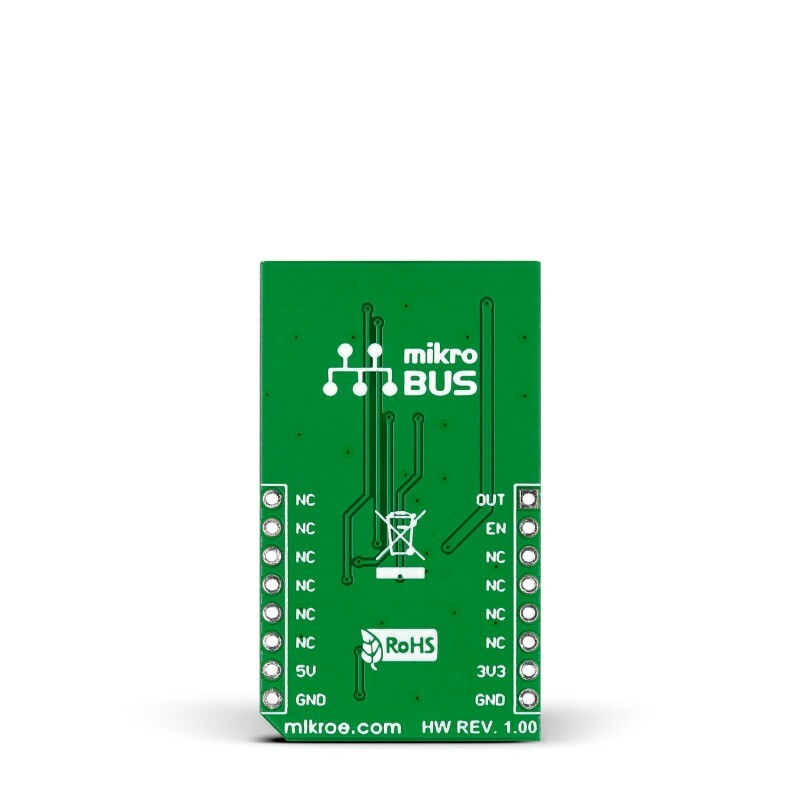 This table shows how the pinout on IR distance click corresponds to the pinout on the mikroBUS™ socket (the latter shown in the two middle columns). 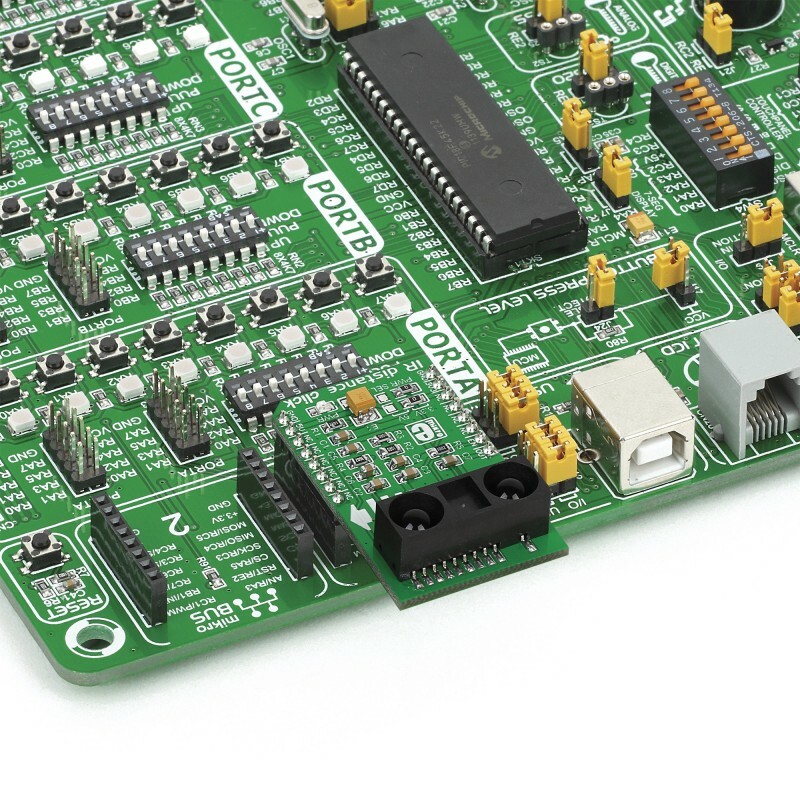 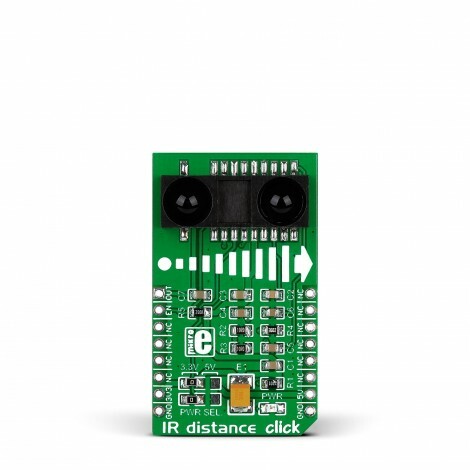 Code examples for IR distance click, written for MikroElektronika hardware and compilers are available on Libstock. 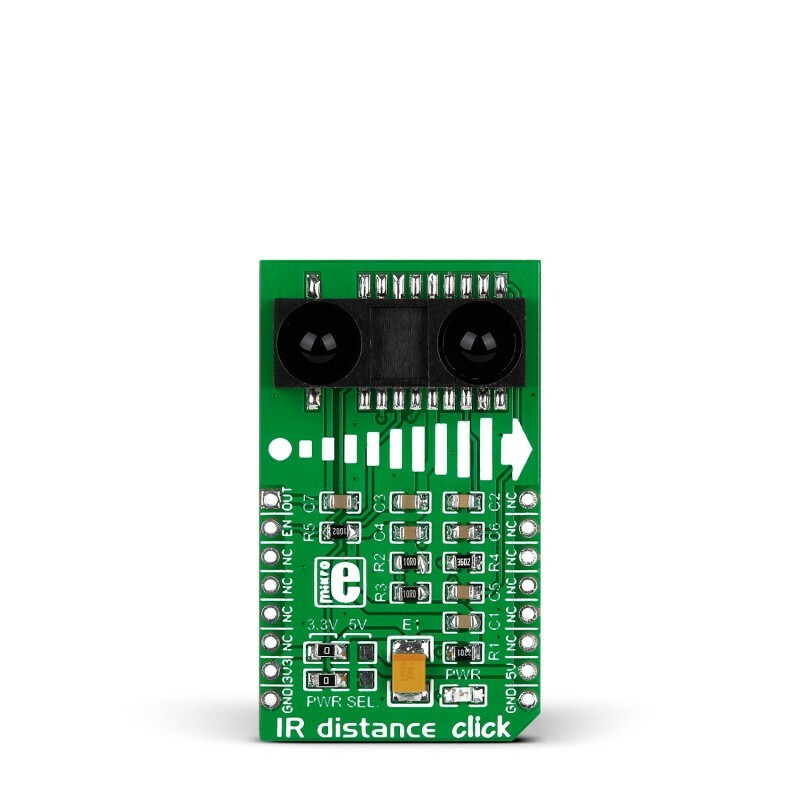 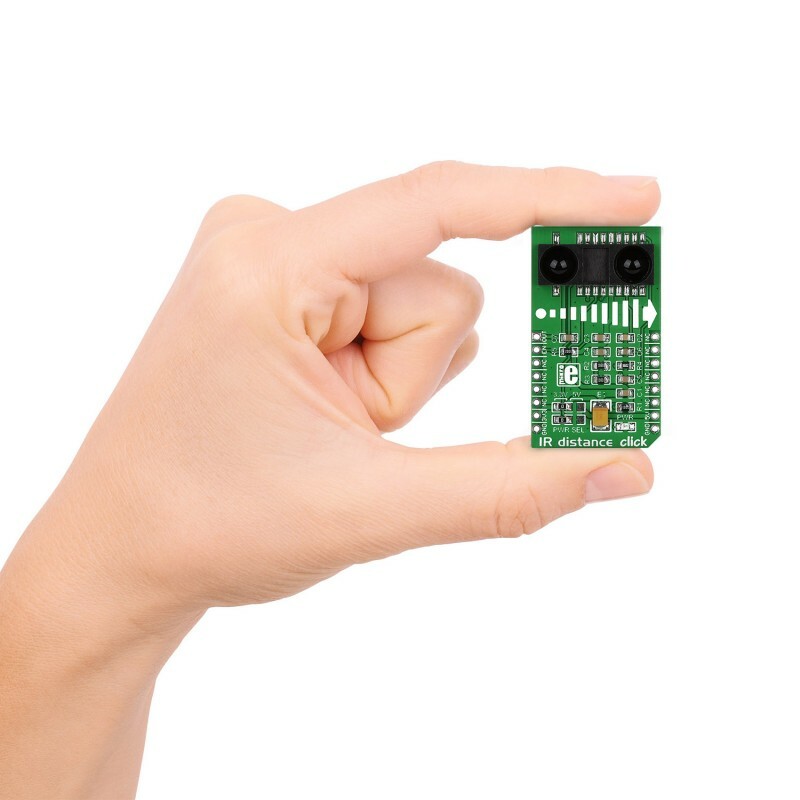 This example initializes the ADC, UART and the IR distance board, and in an endless loop measures distance in centimetres and displays the result on the UART port.